RW Caldwell offices conduct move-in and move-out inspections. 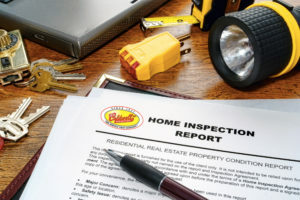 Documentation and photographs from these inspections assist in determining needed maintenance and repairs to maintain your home’s value and avoid costly repairs if left unattended. Learn more about our Property Management services. There are four types of rental property inspections we offer. Move-in and Move-out inspection is part of each property management agreement. Each of the inspections are properly documented by our team and supported by photographs. This documentation will identify any maintenance issues that need to be fixed before they become expensive problems and confirm the tenants have followed or are following lease terms and taking care of tenant required maintenance. They also serve proof in the event that the tenant has mistreated or caused damage to the property, justifying a claim of deposit. Below are brief descriptions of the three main types of rental inspections we offer. This type of inspection is done at the beginning of the move-in process. The move-in inspection documents the condition of the property at the start of tenancy so we have a dated reference for any damage to the property, beyond normal wear and tear. All rooms are photographed and notes are taken. We will use the move-in inspection paperwork during move-out to determine if any of the tenant’s deposit will be retained for cleaning or repairs. The move-out inspection is done at the termination of the lease agreement and is our final opportunity to walk through the property to evaluate the condition of the property. As part of the lease agreement, the tenant will understand they are expected to return the property in the same condition as they received it when moving-in. Any tenant caused damage or cleaning, beyond normal wear and tear, can be deducted from the tenant’s security deposit. By our team conducting a move-out inspection that includes photos and notes, we tend to avoid tenant disputes over deductions made to their security deposit refund. We also offer at the request of our owners two types of occupied inspections. The first one is the routine safe and clean inspection. This inspection is conducted during the duration of the lease agreement typically every 3-6 months, and is done so with the intention of looking for issues or damage to the property that the tenant is responsible for, and also for issues that our team oversees such as a leaky roof or broken appliances. Any issues that are found during these inspections are properly documented with supporting photographs. Once the inspection is complete, we complete an inspection report and load the photos to the owner portal for you to review. The second type of occupied inspection is the drive-by inspection. This type of inspection allows our team to visit the property without notification since we will not be entering the premise and are simply observing the property as we drive by. Since routine, safe and clean inspections are scheduled in advance, tenants will usually put their best food forward. A drive-by inspection allows for our team to periodically look for common non-compliance issues such as pets, storage or parking of multi vehicles, junk cars, unregistered/untagged vehicles, boats, lawn care upkeep and satellite dishes to name a few.